I think, incredibly. Like Vin Diesel, Chuck Norris and Mads Mikkelsen all rolled into one. How difficult would it be to be able to read Beowulf? Like giving birth to a fridge freezer whilst stuck in a lift with a singing Barney the dinosaur. That’s my guess. Apparently it was required for all English students at Oxford to be able to translate old English, and maybe we should care more about it. I have an interest in Nordic languages and there are so many similarities with old English such as the use of the thorn- Þ, eth- Ð, and ash- Æ, so I know how to pronounce this stuff, even if I have no idea what these words mean. And where I live in north east Scotland, quite a lot of the Doric words used locally have Nordic similarities. The English language is a fun crazy mixed up Germanic and later Frenchified thing, and now I also think it would be fun to be able to read Beowulf, without crying. But bearing in mind I find Chaucer can be a struggle, who lived around 500 or more years later, it would be fair enough to question my own estimation of my abilities. I am currently reading Beowulf as translated by Seamus Heaney. It contains a lot of information from Heaney about how he went about translating it, in a dogged fashion of ten lines a day, as well as his text and lots of literary essays and criticisms including J.R.R Tolkien’s – Beowulf : The monsters and the critics. And it won’t be as hard for me as it was for students of days gone by, as there are lots of old English translators on the web, and no one is going to test me on it. And I know it will hold my interest as it’s an exciting tale of men with swords and death and monsters, hurrah! 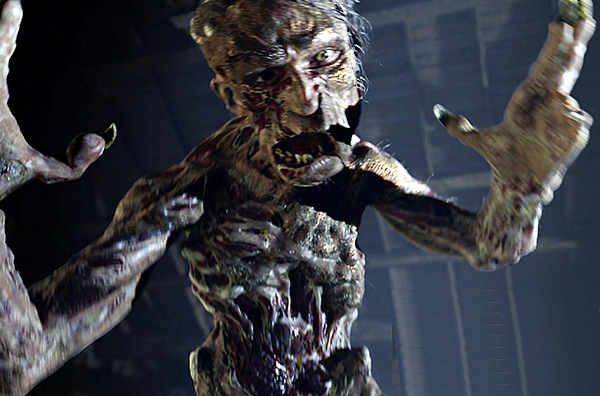 Grendel in a film version. Bring me 100cc of aloe vera and page the Avon lady, stat!